The Prototyping Club is a group of students at UW-Milwaukee who like to build, invent, tinker, hack, and learn new skills. We have a wide range of skill sets in our membership and you’re likely to find someone who can talk about almost any technical concept with you in a meaningful way. We also are a physical space where you can come to and have access to a wide array of equipment that you are not likely to have at home. We aim to foster a community of makers by providing an environment in terms of people, equipment, and space, that supports the creative process and personal growth. In our space you will find students of all majors and disciplines, with a wide range of interests. You’ll find people who are into electronics, robotics, software, music, art, video, photography, and so much more. We’ve found that having such people pursuing their interests in close proximity to one another leads to a lot of productivity, personal satisfaction, and some amazing collaborative projects. We hope you’ll become a part of it. If you think you might like to join the Prototyping Club, you should come to one of our Wednesday night meetings and check us out. 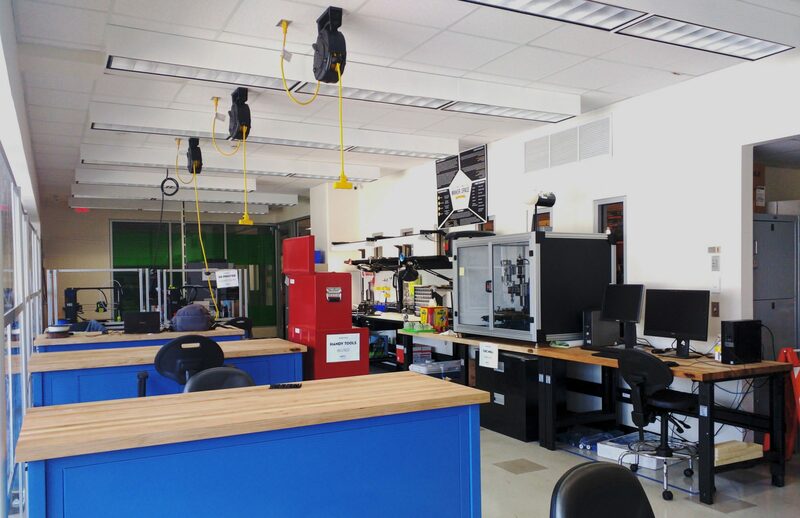 If you’re simply interested in using the makerspace, come in during staffed “office hours”.